One of the more recently popular modules for Apache is mod_pagespeed. It is an output filter for Apache 2.2+ that can be configured through a variety of options through configuration files or a .htaccess file. It makes a layer between your website and the user who browse your websites. An “output filter” is a something that transforms the data before it’s sent to the client. mod_pagespeed is Google’s answer to these problems. Based on my experience, most shared Web hosting packages do not include the mod_pagespeed module in their Apache configurations. Bluehost for example only offers it in their VPS packages and upwards. As a reseller however, you can make this functionality available to your clients out of the box and improve their page loading times as well as the strain on your own servers. 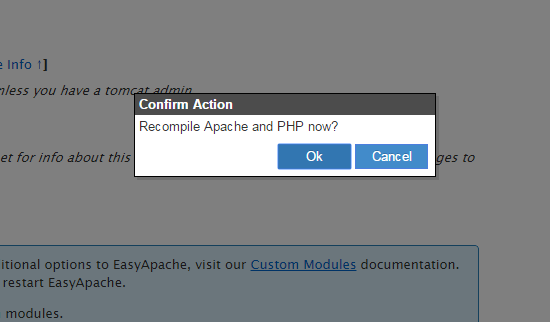 Now that we’ve seen how to configure EasyApache, we don’t need to do a lot of manual work. 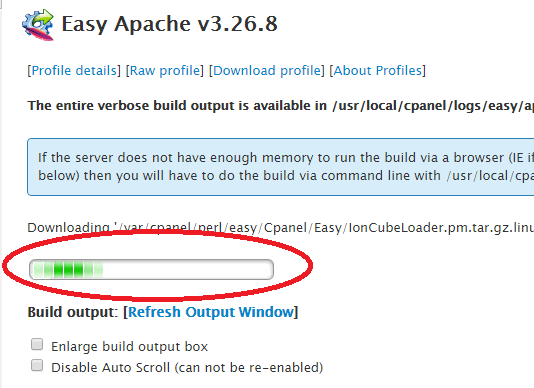 We simply need to get the module to appear in easy Apache’s configuration screen. First we create a clone for pagespeed for cpanel in custom module directory of cpanel. Then change the directory to that custom module path and create a gzip file for pagespeed for cpanel which need to install through cpanel/whm. Enable it and confirm the dialog. Since we only wanted to change this one thing without enabling or disabling anything else, simply go to the bottom of the screen and click “Save and Build”. The defaults for mod_pagespeed are good, but you’ll often find that you can get better performance with a few additional tweaks to your site. Every site will get different results with different settings and it’s best to play around and find the settings that work best for you and your site. You can specify different “levels” of settings to simplify any configuration. The default is CoreFilters It contains a set of filters the Google team believes is safe for use. The filters are the individual actions that are applied to a file. In general, you won’t need to change this value. It’s easier to use this default and then enable or disable filters using the ModPagespeedEnableFilters and ModPagespeedDisableFilters directives. Note: You’ll have to explicitly enable any filters you want to turn on using the PassThrough setting. You can have multiple ModPagespeedEnableFilters directives throughout your configuration files. So, if you want to enable a filter per site, you could enable it in the virtual host configuration file or in the .htaccess file instead of in the main pagespeed.conf file.